Its another new month and we’ve another round of updates to the platform for everyone to enjoy. This release has a primarily performance oriented focus and for that reason, although there are not a whole lot of new features, there are plenty of major tweaks and updates to improve the system overall. 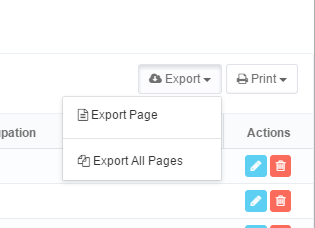 better sorting and searching functionality. Global Membership Creation: We’ve added a new button to the top of the organization administration area to enable you quickly add a new member to the organization from anywhere within administration area. This opens up a dialog with the option to choose the member’s category and then proceeding to enter their information and create their membership. 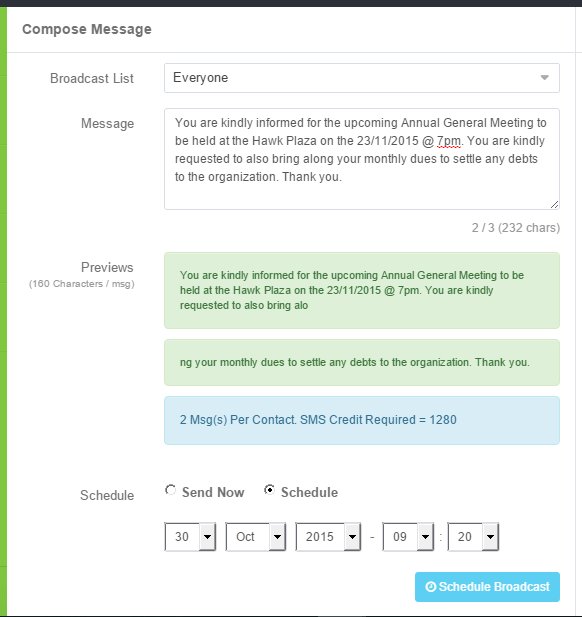 SMS Messaging Previews: When sending a Quick SMS or Broadcast Message from the messaging area, you will now see a preview of how the message will be split and sent out. One SMS message consists of 160 characters, so the typed message will be split accordingly and your estimated SMS Credit usage will be pre-calculated for better understanding of what will happen when messages are sent. Improved Email Notification Response Time: We noticed that most times customers has issues receiving emails for activation processes in a timely manner. We have made several backend improvements which will ensure emails will be received within 30 seconds at most times. You can now see contributions members have made directly from their profile display anywhere in the organization administration area. Organizations are clearly separated between those you created versus those you manage either as an admin or are currently a member of only. 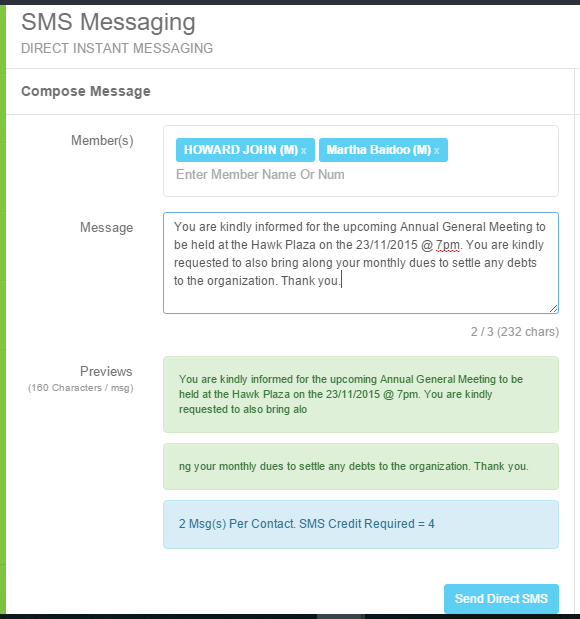 Fixed issues with sending SMS Messages when in the contribution management area. This is an important release that helps to lay the ground work for other major changes coming in the near future so stay tuned. Also, do not hesitate to contact our support team if you have any questions or experience any issues with the platform.